Any qualified TOWN OF WAUSAU ELECTOR who is unable or unwilling to appear at the polling place on Election Day may submit a request to vote by an absentee ballot to the Town of Wausau Clerk, Cindy Worden. Please mail requests to 236235 Forest Lawn Rd., Wausau, WI. 54403 or email to[email protected]. A qualified elector is any U.S. citizen, who will be 18 years of age or older on Election Day, who has resided in the TOWN OF WAUSAU for at least 10 consecutive days before the election. The elector must also be REGISTERED in order to receive an absentee ballot. Proof of identification must be provided before an absentee ballot may be issued. Contact Town Clerk, Cindy Worden to request an application for an absentee ballot or one is available to download at this website. You may also submit a written request in the form of a letter or you may apply for an absentee ballot online at MyVote.wi.gov. Your written request must list your voting address within the Town of Wausau, the address where the absentee ballot should be sent, if different, and your signature. Be sure to include proof of identification. You may make application to the town clerk for an absentee ballot in person, by mail, by email, or at MyVote.wi.gov. The deadline for making an application to receive an absentee ballot by mail is 5 p.m. on Thursday, prior to the election date. Note: Special absentee voting application provisions apply to electors who are indefinitely confined to home or a care facility, in the military, hospitalized, or serving as a sequestered juror. If this applies to you, contact the clerk regarding deadlines. You may also request by appointment only and vote an absentee ballot in the clerk’s office during specified hours for casting an absentee ballot in person. Those dates and hours will be posted approximately 3 weeks before a scheduled election. 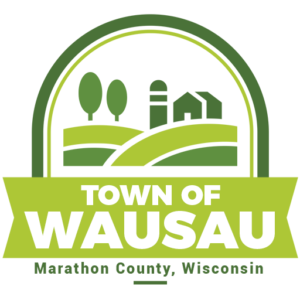 Town of Wausau Clerk will deliver voted ballots returned on or before Election Day to the Town of Wausau Polling Place before the polls close election day. Any ballots received after the polls close will not be counted. Below is the link for information on voting by absentee ballot and registering to vote. Both forms should be submitted to your municipal clerk.